Plug into instant audio entertainment with the new MOBILE CUBE amplifier. 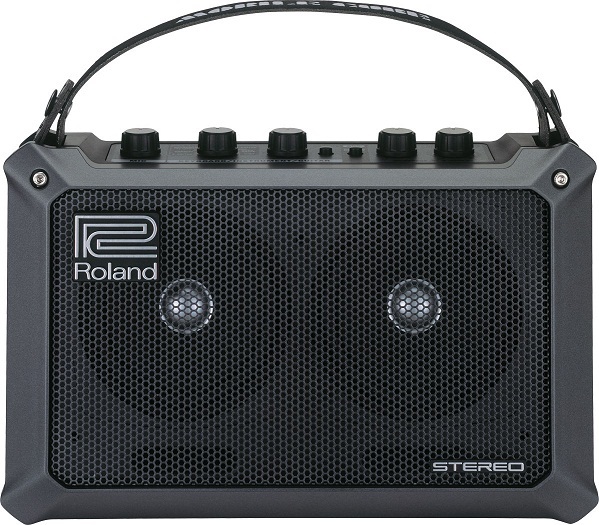 Small and mighty, this little stereo amp can handle all types of electronic instruments and audio devices, and can be used anywhere, anytime. 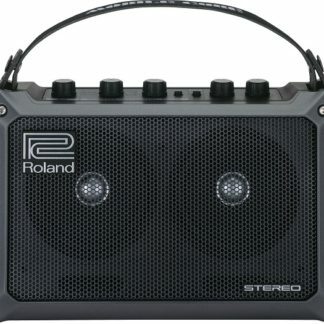 The Mobile Cube is the perfect all purpose amplifier. Designed to handle multiple instrument and audio devices it can be used anywhere anytime with it’s battery operated funcionality. At just 11-1/16″ (W) x 4-1/4″ (D) x 7″ (H), no larger than a briefcase, MOBILE CUBE is a traveler’s dream. Battery-powered, it can be operated anywhere — just plug in, turn on, and jam. Two high-performance speakers provide stereo sound that defies MOBILE CUBE’s physical size. 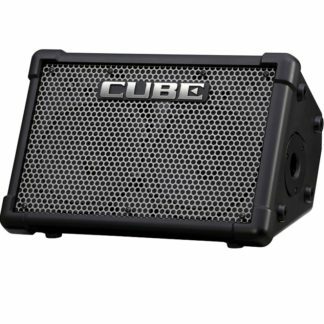 Thanks to its variety of inputs, MOBILE CUBE accommodates microphones, keyboards, acoustic guitars, electric guitars, MP3 players and more; no other instrument amplifier of this size has a stereo input port. Use it as a practice amp at home, while travelling, indoors or out. 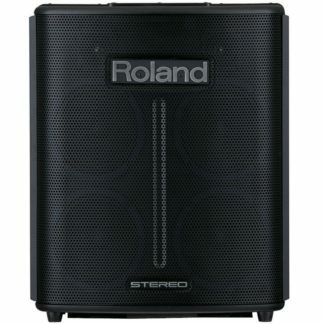 It’s great for parties, karaoke and vocal lessons. Connect it to a mic stand for use as a monitor speaker or micro PA.